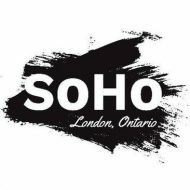 The SoHo Community Association met on February 17th, 2016 at the London Roundhouse. MOTION: Jamie made a motion to approve the previous minutes, seconded by Nancy, the motion passed. South street to Wellington will be the “South Street Promenade”, with enhanced pavement pattern, similar to the treatment on Colborne. Jamie spoke to Jeff Preston, who teaches a nonprofit marketing course at Fanshawe. He may be able to get students to help us with a marketing plan. Jamie has spoken to the urban league to get the discussion going on possibly working together to purchase Directors and Board insurance to reduce costs. We need to also consider Old South, we don’t want to conflict with Gathering on the Green. Pictures at day, movie at night – Beth from the city can help with reserving the screen, etc. There is also potential funding available through Padre Frank Mantz, who is a trustee for an organization with an endowment of $300k who are seeking organizations to make donations to. The market subcommittee will explore this further. Angela introduced the 100 houses project. The Salvation Army is undertaking a project to find permanent homes for 100 of their emergency shelter bed users. http://www.lfpress.com/2015/10/16/salvation-army-centre-of-hope-executive-director-nancy-powers-stands-outside-of-the-wellington-street-help-centre-in-london for more details. Those who wish to participate should contact the Salvation Army. “The Four Corners” Project Update – Help us pick a colour!